Data providers are the foundation of a successful portfolio management process. But the PMO/EPMO staff and process are key to long term effectiveness and results. Among many responsibilities of the EPMO staff, two are critically important: ensuring data integrity and providing data analysis. This session will provide an introduction to features in the PDWare Portfolio Financial Module for EPMO process optimization and financial analysis. This presentation was delivered at the Resource Planning Summit. If you attended the original or are attending for the first time, you will find this session full of practical information you can immediately take back to your firm. To join us Thursday, November 9, 2017 at 11:00 a.m. EDT, please register here. 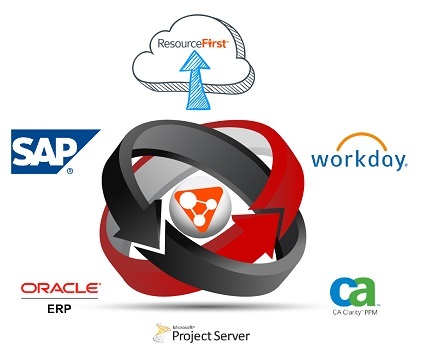 More and more companies are using ResourceFirst to link business strategy execution to their portfolio execution processes. 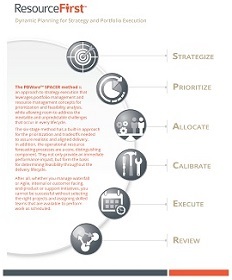 The PDWare™ SPACER method is an approach to strategy execution that leverages portfolio management and resource management concepts for prioritization and feasibility analysis, while allowing room to address the inevitable and unpredictable challenges that occur in every lifecycle. The goal of SPACER (strategize, prioritize, allocate, callibrate, execute and review) is to help ResourceFirst clients think about their mature state from very early on. If you want to learn more about the transition from resource management to portfolio management to strategy execution, download the latest SPACER Method whitepaper here: Download Whitepaper. Please send any feedback or questions to philwolf@pdware.com.